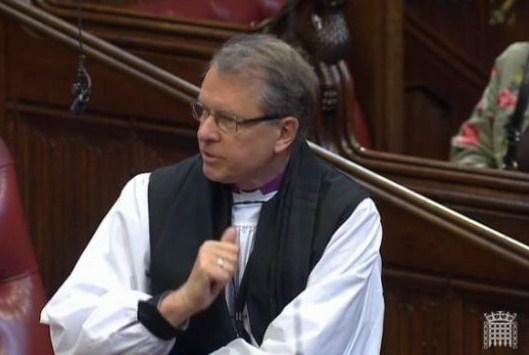 The Lord Bishop of Durham: My Lords, I am grateful that in the scheduling I find myself following the noble Earl, Lord Listowel, whose passion and commitment to those in care and care leavers is widely known. A focus on long-term life outcomes is likely to lead to better decisions in placing children, including non-consensual adoption, but 75% of looked-after children are fostered, and it is no less important for them and for those in other forms of care that their long-term well-being outweighs any other considerations of economy or convenience. It is regrettable that the Bill has not addressed further issues of fostering and kinship care, as other noble Lords have already noted. In my remarks, I want to comment on several areas. The first is corporate parenting. I warmly welcome the development of the seven principles of corporate parenting, which are wrapped up in a duty to be laid on local authorities. It is very good to hear that the voice of the child is to be heard. Making this happen effectively can be done, as organisations such as the Children’s Society and Participation Works demonstrate. I hope that their experience will be drawn on by local authorities and national government in rolling this out. looked-after children. I agree that this responsibility rests on the state and is exercised both at local level and also in the workings of government at national level. It will be helpful if, as the Bill goes through, it can be made explicit that central government departments, as well as local government, have a responsibility to follow these seven principles under the umbrella of corporate parenthood. The noble Baroness, Lady Tyler, made this point earlier. It is good to have a transparent local offer of care services from each authority. It would be good to have a consistent national offer, too. Will consideration be given to amending the Bill so that the corporate parenting principles apply to national as well as local government? I turn to care leavers. As I said in my comments on the gracious Speech, when the time comes to leave care it is often very traumatic. A move to provide care leavers with a personal adviser until they are 25 is therefore a very welcome proposal. Research by the Children’s Society has shown vividly that many care leavers are very vulnerable in the areas of housing, money and mental health. To subject care leavers to benefit sanctions on the present scale, which I understand is around 2,000 a year, is often counterproductive, as is the challenge of their having to pay council tax during the early years of adjustment to independent adult living. For most, positive strategies of personal support and financial education are much more likely to be effective than the heavy-handed use of sanctions. I wonder therefore if the Minister would give consideration to amendments that might exempt care leavers from council tax until they are 25. While supporting this provision overall, I have a concern about the recruitment and training of the new advisers. Some extremely helpful thoughts have already been offered around this in our debate. We know that consistency and continuity are very important in any mentoring or advisory role. How will it be ensured that a care leaver does not in fact find themselves having a new adviser every year? How will consistency be guaranteed? The noble Baroness, Lady Hughes, made an interesting point about foster parents being nominated as those advisers. That seems a very sensible suggestion. Perhaps the Minister might comment on the need for consistency and how it will be provided. “around a 10% reduction of flow into care”. We must ensure that such suitable voluntary organisations and volunteers are included among relevant persons where their input would be significant in ensuring good support for care leavers. Whether this is around relevant persons or whether it could be incorporated in a covenant of care, which I understand the Minister will talk about, I would be interested to hear. I have a brief point about children placed out of area. More looked-after children are now being placed out of area, and there is clear evidence that outcomes are less good for this group. Further measures could helpfully be included in the Bill to ensure that there is good multiagency oversight in relation to the risks and needs of all looked-after children in the area where they are living. I turn to serious child safeguarding cases, covered by Clauses 11 to 14. Overall I welcome this new national structure for learning lessons from serious child safeguarding cases, as laid out in these clauses. However, I note that determining when a case is or is not complex or of national importance is much harder in practice than spelling it out in words on a page might suggest. I wonder whether in Clause 12(6) there might be a need for an additional clause that not only states the procedure for a review but includes a phrase such as, “establish clear terms of reference for the review”. Experience has taught me that this matters a great deal. I turn to Clause 15 on local innovation. We know that we cannot simply go on saying “This must never happen again” when things go wrong in the protection and care of children. Innovation is essential. In principle, Clauses 15 to 19 will open up opportunities for new approaches. But, like so many other noble Lords, I have a word of caution. First, it is never right to experiment on children. The basic assurance of safety and the priorities around safety, rights and well-being, which are enshrined particularly in the Children Act 1989, must be preserved, and both the degree of consultation and the level of parliamentary scrutiny of any arrangements for local exemptions must have regard to the seriousness of the risks involved. This may be especially important when new providers are coming into an emerging market of care provision. Finally, I turn to Part 2 and social work. Social work has strong roots in faith communities and it is appropriate, given the continuing professionalisation of this work, that a dedicated structure of regulation is established. Heed should be paid to the anxieties that government control, if it descended into micro- management, could constrain rather than foster the development of a confident and competent social work service. I had an interesting conversation recently with a senior judge who suggested that to really raise the esteem of social work, a college or academy of social work—perhaps even a royal college or a royal academy —would be far better than the proposed government regulatory body. I wonder whether the Minister has considered this as an option. Social workers by and large do a very tough job very well. They are often hampered far more by being asked to carry too large a case load than by any lack of training or competence. This is an area where blame can spring too readily to the lips of those in authority. Life chances for many children can be enhanced if a well-trained, well-resourced and not overstretched social work profession is there to help. In conclusion, I reaffirm my overall welcome for the Bill. I must apologise in advance that, due to some existing and hard-to-move commitments, I may have to ask one of my colleagues to speak in Committee, although I shall try to be here for at least some of it. I add my concerns to those expressed already by the noble Lords, Lord Ramsbotham and Lord Listowel, about moving to Committee with only one formal day of Lords business between this debate and that one. Surely this is inadequate time for the proper consideration of all the matters that have already been raised in the debate. I look forward to the Minister’s responses to my questions, which are all intended to help to improve what I believe is an important Bill. Baroness Walmsley (LD) [extract]: …Before I finish, I want to say a brief word about the idea put forward by the right reverend Prelate the Bishop of Durham concerning the regulation of social work. I am very attracted by his suggestion of a royal college but it would absolutely have to be independent. I just wonder what would happen if the Government said that they were going to set up the BMA and decide who was to be on its council. There would be a riot. I think that we ought to provide similar scrutiny of the suggestion of the Government setting up the regulation of social workers. Lord Bichard (CB) [extract] : I rather welcome the articulation of the corporate parenting principles in Clause 1. Like the right reverend Prelate the Bishop of Durham, I am especially pleased to see subsections (2) and (3), which require local authorities to have regard to the need to encourage children and young people to express their views, wishes and feelings, and for those to be taken into account. I welcome that commitment to giving young people a more central role and greater power to influence policy. The Parliamentary Under-Secretary of State, Department for Education (Lord Nash) (Con) [extract]: ..The noble Lord, Lord Watson, the right reverend Prelate the Bishop of Durham and others mentioned the importance of kinship care and foster care, which we, of course, recognise. In 2011, we published Family and Friends Care. Under this guidance local authorities must publish their approach to promoting and supporting the needs of children living with family and friends. The Government have also taken action through regulations to strengthen and encourage arrangements for long-term foster care. Our emphasis then, as in this Bill, is to promote stability in children’s lives…. …The noble Baronesses, Lady Meacher and Lady Walmsley, and the right reverend Prelate the Bishop of Durham talked about the circumstances where a national review might be called for. I would like to reflect on this more. Concerns were raised about the distress of good social workers whose cases are considered by this kind of panel. I assure noble Lords that the panel will in no way focus on individual blame, but only on issues which may lead to timely improvement at national level. I note the concerns of the noble Baronesses, Lady Walmsley and Lady Pinnock, that lessons learned from national reviews trickle down to the local level…. ..The right reverend Prelate the Bishop of Durham, my noble and learned friend Lord Mackay and the Baroness, Lady Pitkeathley, talked about a college of social work. Indeed, until recently the Government supported an attempt to establish such a college with £8.2 million. Unfortunately, the college struggled to attract the members it needed and, in any case, this is no substitute for independent, professional standards and regulations. Public protection will remain a central objective of the new regulator. As for the concerns of the noble Baroness, Lady Pitkeathley, about costs, we do not anticipate any immediate changes to the registration fees paid by social workers..